What is your favorite recipe using Hatch Chiles? Just have to share my pizza..
Split your wings or leave them while ? 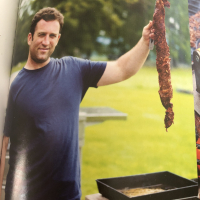 New cookbook: Anthony Bourdain's "Appetites"
Anyone have a good Jalapeno popper Recipe?